The next time you see a senior citizen riding a Harley Davidson down I-95, don’t laugh. As a matter of fact, more baby boomers are riding motorcycles. Perhaps the wind in their hair (what may be left of it) and the roar of the engine may remind them of their earlier years. But the reality is with more baby boomers on motorcycles, the more likely that they will be injured (and killed) in accidents. 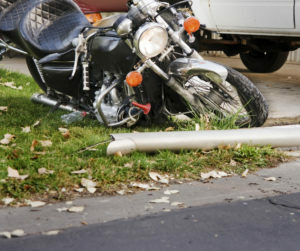 Indeed, it appears that fewer people are losing their lives in motorcycle accidents. Perhaps it is because more people are wearing helmets, or they are riding in a responsible manner. However, an increasing number of older riders are being injured. According to a recent wsj.com article, riders aged 55 to 64 accounted for just over 16 percent of all motorcycle deaths in 2013, the latest available year for such data. While this number was down from the 17.2 percent of older riders being killed in 2012, the number is still high compared to the 9.3 percent of such riders dying in motorcycle crashes a decade earlier. So besides the larger number of older riders on the road, what else could contribute to the increase in baby boomer motorcycle crashes? It could be that their reflexes are slower than what they used to be. In fact, one rider who was injured in a crash even admitted so. Additionally, older riders may not recover in the same manner that younger riders may. Essentially, the same impact would affect a 55 year old rider differently than a 24 year old.